An elegant bottle with a personalised paper cut typography in the shape of a Spanner or Screwdriver. 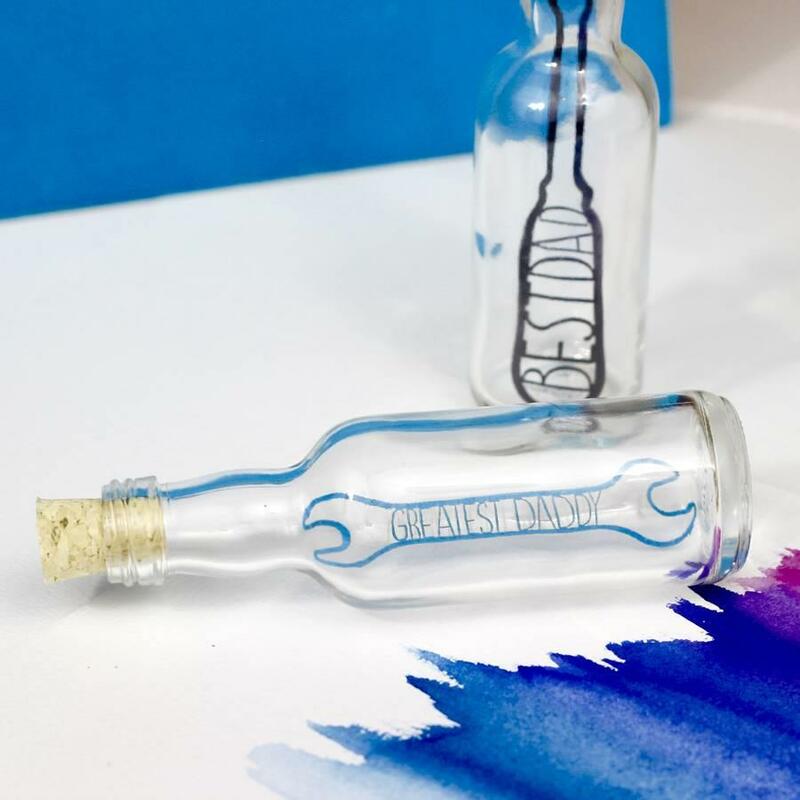 There is no better way to show your DIY dad how much you love them then to give them a message in bottle. Each mini bottle is contains a delicately cut paper in the shape of a spanner or hammer. The mini jar will be perfect on display on his desk to remind him how great of a dad he is!